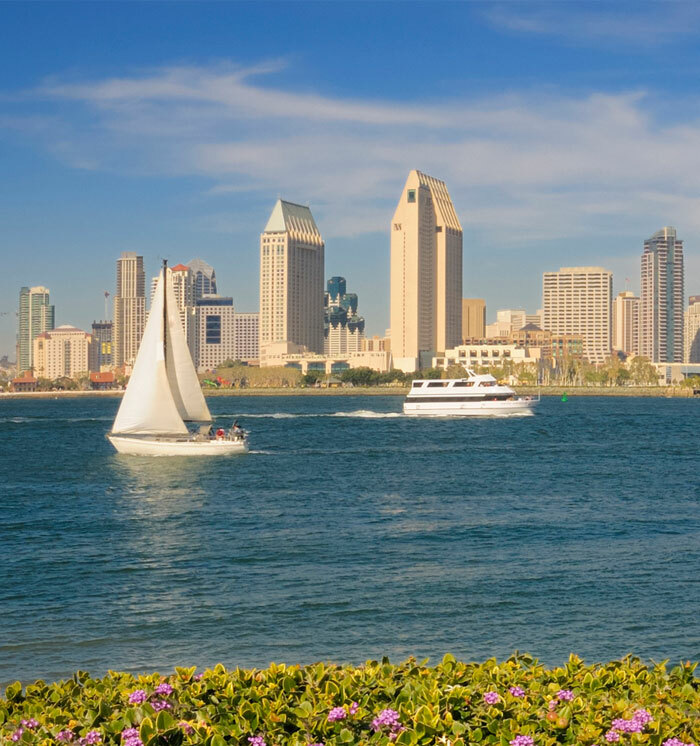 Located on beautiful San Diego Bay, SeaWorld San Diego is a wonder-filled marine-life amusement park where families connect with the sea. The park showcases thrilling ocean life exhibits, attractions, shows and events year-round. Enjoy up-close encounters with killer whales, dolphins, sharks, harbor seals, penguins and bat rays. Kids and kids-at-heart can get their thrills on rides like Journey to Atlantis and Shipwreck Rapids. Explore unique attractions like Shark Encounter and Turtle Reef, and take in shows like Blue Horizons and Shamu Rocks, a dazzling spectacle featuring the world-famous killer whale. what does admission to the park include? Your park ticket includes access to all shows, exhibits, aquariums and rides. SeaWorld's merchandise, dining behind-the-scenes guided tours and animal encounters are all optional for an additional cost. Guests are encouraged to make reservations ahead of time online for shows and tours. Does the park remain open in bad weather? SeaWorld does remain open during inclement weather, however some of the parks outdoor shows, rides or attractions may be temporarily postponed or closed for park safety, depending on the weather's impact. Rain checks and refunds are not issued for days of inclement weather.